Even with electric cars, transportation continues to drain the world’s energy supply. How to keep us mobile–and our consciences clean–is one topic on tap at this Geneva convention. Here, a look at three structures that bridge the gap between sleek and sustainable. 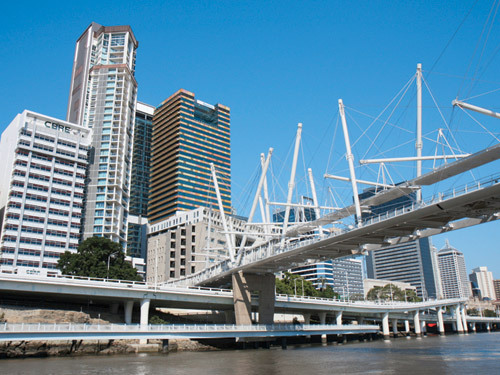 Connecting Brisbane’s Central Business District to the South End, the Kurilpa is the world’s largest solar-powered pedestrian bridge. The LED lights, designed by Cox Rayner Architects and echoing pick-up sticks in looks, are powered by 84 solar panels, saving an annual 37.8 tons of carbon emissions. 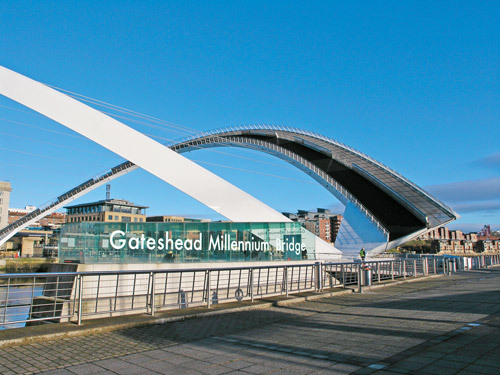 Unlike its predecessors that use fuel to raise their draw-bridges, the stainless-steel arches of the Gateshead Millennium Bridge use electric motors and natural physics to simply tilt above the River Tyne. The mega-tourist attraction is also its own wastebasket: litter simply rolls into built-in trash traps. 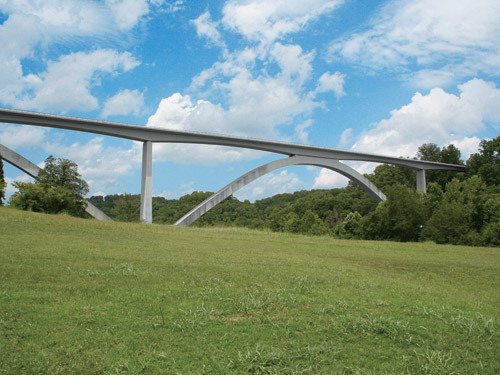 Back in 1994, the Natchez Trace Parkway Arches was the first American bridge to use precast segmented construction. The lightweight concrete arches were built while suspended in midair, keeping construction off the ground. The two-lane highway nearly supports itself, minimizing the number of columns intruding on the valley’s natural habitat.